We love live music and going to music festivals. 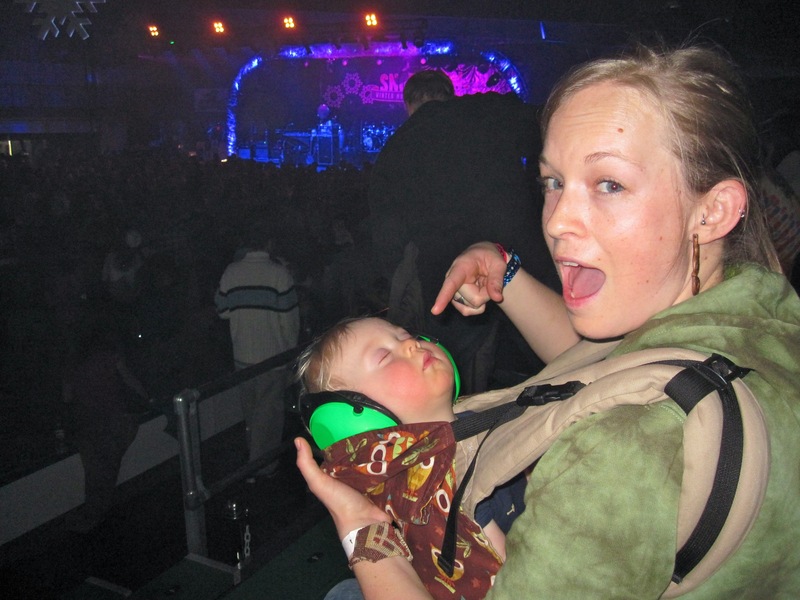 When we had a baby we made a pact that we would bring our child along with us to music. It’s such an important part of our lives and we love the community of people we have made through music. Gavin loves to rock out with Mama and Dad in his baby carrier!